One of the most recognizable bitcoin-related domain names is at the heart of a dispute between Chinese bitcoin exchange OKCoin and bitcoin entrepreneur Roger Ver. The issue stems from the management of the Bitcoin.com domain, after the two sides struck a five-year deal last December to control the property. Under the agreement, OKCoin was set to redesign the site and pay Ver a percentage of the revenue generated each month, with a minimum of $10,000 per month. The latest developments, which have seen Ver accuse OKCoin of fabricating legal documents and the exchange in turn alleging that Ver is intentionally seeking to smear its name, come after months of increasingly antagonistic back-and-forth over the direction of the site and the advertising plans that were supposed to drive the effort. OKCoin has released an official statement on the dispute, stating it would no longer manage the domain name. The company cited a recent action taken by the US Financial Crimes Enforcement Network (FinCEN) against Ripple Labs, which referenced Ver in its agreement with Ripple earlier this month, as its chief justification for stopping payments related to Bitcoin.com. OKCoin also characterized the agreement regarding the domain as invalid because the entity named in the documents is not representative of the actual company, essentially laying the blame on former chief technology officer Changpeng Zhao, who signed the initial agreement with Ver. Zhao departed OKCoin earlier this year. The company said it is “currently investigating the actions of the former employee for misconduct and other possibilities for the discrepancy” in its blog post, but did not name Zhao directly. In an interview, OKCoin VP Jack Liu confirmed the company was investigating Zhao for wrongdoing. The company blog post was published hours after Ver accused OKCoin of creating fabricated documents and fraudulently including his signature. In a 22nd May email addressed to several OKCoin staff members and copied to CoinDesk, Ver accused the company of fabricating the document and fraudulently using his signature in order to affect the outcome of the negotiations. This email, according to Ver, was copied to a list of OKCoin investors including Tim Draper. Both Ver and OKCoin claim to have the definitive version of the agreement, copies of which were provided to CoinDesk for review. This analysis looked at the dispute documents in question, as well as Zhao’s signature on Ver’s version and OKCoin’s version. Ver’s version, entitled “Bitcoin.com_v7”, includes signatures from both himself and Changpeng Zhao. Ver’s digital signature is timestamped 15th December 2014, at 10:34:43 – 04’00’. Zhao’s signature is not timestamped and is written alongside print versions of his name, title and email address. Ver provided CoinDesk with PGP-signed emails between him and Zhao in which copies of the agreement were exchanged. The email exchange took place on 16th December, during which time the agreement claimed by Ver as genuine was signed and counter-signed by Zhao. OKCoin’s copy, entitled “Bitcoin.com_v8”, is nearly identical to the earliest. Notably, it includes an additional clause at the end stating that “OKCoin may cancel the contract by givin [sic] Roger 6 months advanced notice”, a stipulation written at the end of the document. The copy bears Ver’s signature with the timestamp from Ver’s version, alongside a signature that is said to have been written by Zhao but does not feature a printed version of his name, title or email. The ‘signature’ for Ver on version 8 is problematic: it bears the exact same timestamp, to the second, as the one on version 7 and appears to be a scan, not an embedded digital signature. It would be impossible to have two legitimate digital signatures recorded at the same second on two separate documents, especially if one of those documents has been altered. When asked for evidence showing that OKCoin’s copy had been provided by Ver, OKCoin’s Liu said he and the company’s CEO Star Xu were not involved in those discussions and neither was anyone else apart from Zhao. It was only upon later investigation, he said, that the discrepancies were discovered. “I don’t recall a version 8,” Zhao said by email, who went on to allege that his signature has been used by OKCoin on other occasions. 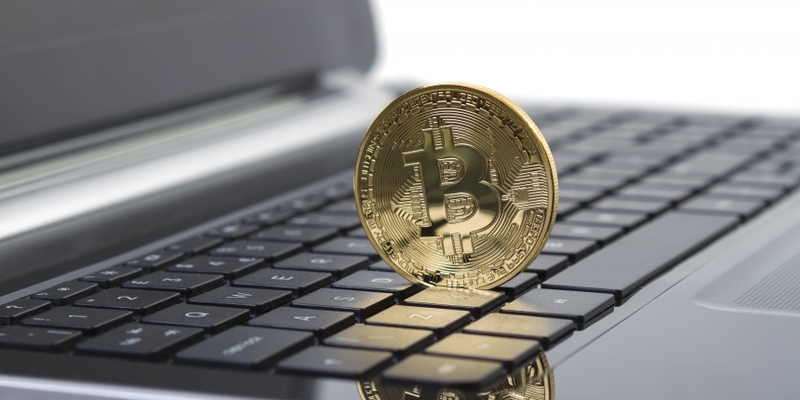 According to the emails, the dispute dates back to January, when disagreement first surfaced over the operation of the Bitcoin.com domain name. Ver wrote to Xu at the time that he “felt a bit mistreated regarding the deal” and asked about OKCoin’s plans for the site. Xu wrote in response that the initial plan was to build advertising support but that “this turned out not to be easy”. The new plan, he continued, was to “build a community website that everyone can be proud of” that he anticipated would bring in more revenue than was then possible. Ver responded by saying that ad space purchased by companies, naming Safello specifically, had never been deployed. In the same email, he recommended using Bitcoin.com in place of Oklink.com, which currently links to OKCoin’s Superwallet digital wallet service, and asked when the aforementioned plan would be be implemented. Ver sent additional emails to OKCoin in March and April regarding both the development of the site as well as messages about late monthly payments. In early April, Liu suggested that payments be made to Ver in the form of US dollars instead of bitcoins. As part of its campaign to have the contract nullified, OKCoin is claiming the signed documents do not use its legal name. The contract refers to Ver’s counterparty as both ‘OKCoin’ and ‘OK coin’, but does not give the full name of the company’s China and Singapore-registered entities, which are OKCoin Limited, OKCoin Co LTD, and OKCoin PTE LTD. The company uses ‘OKCoin’ as its brand name, with its registered company in mainland China handling the domestic market, and uses the Singapore-registered version for international business. OKCoin later introduced to the conversation its legal counsel, an individual named Yajun Li. Writing from an OKCoin.com address, Li initially requested correspondence in Chinese, despite the contract and related documents being in English. Li’s subsequent tone led Ver’s legal representative, Daniel Kelman, to question whether Li was actually a lawyer – or even a real person. Zhao added that the company had never had internal legal staff during his time of employment. While maintaining that the six months’ notice clause had not been in the contract Ver signed, Kelman said it was irrelevant as OKCoin had not provided six months notice that it wished to terminate the agreement. Ver’s team is claiming the contract, if continued over the five-year minimum term stipulated, is worth $550,000 and would be prepared to pursue that amount in damages. The team is willing, however, to settle for $200,000. Since OKCoin’s blog post detailing its side of the argument, and Ver’s release of the contract and email conversations, both sides have engaged in heated debates on social media. OKCoin has offered a $20,000 reward to “anyone with authentication skills confirming that the digital and hardcopy of v8 are genuine and signed from December of 2014 by our former employee”. The issue has even broadened to include other claims not directly related to the current contract dispute, with former OKCoin employees entering the fray to speak against their old company. Correction: An earlier version of this report inaccurately said OKCoin’s bounty sought proof that the v8 document “is the true and legal version of the document.” The post has been updated with the exact text of OKCoin’s bounty.